5 shades: a complete palette for the perfect smokey eye look. New inner grid designed by mario trimarchi -> rational lay out of the shades inspired by the classic palette concept. Synthetic Mica to ensure a creamy touch to the product. Explore the entire range of Eye Shadow available on Nykaa. 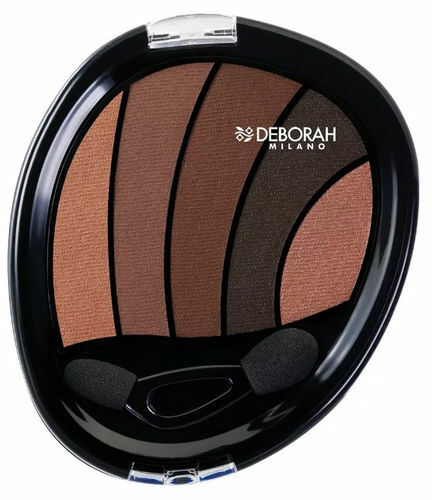 Shop more Deborah products here.You can browse through the complete world of Deborah Eye Shadow .Alternatively, you can also find many more products from the Deborah Perfect Smokey Eye Palette range.